Autocalve, Autocalves, New, refurbished, used, all sizes, all makes, available for you. 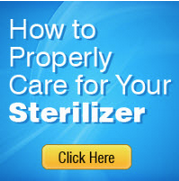 Beta Star "Re-Manufactured as New" sterilizers are not "reconditioned" or "rebuilt". Prior to any further work, we meet with the end user to discuss their specific process requirements and review all of the utilities with the facility engineers. This allows us to customize special cycles and design piping configurations to overcome problems associated with utilities limitations and space constraints. Proper planning at this stage helps to reduce installation costs and makes future servicing of the unit easier. Re-manufacturing then continues. New piping assemblies are installed with heavy duty, non proprietary components, located for ease of service. All parts are new including: Beta Star control column with pressure and temperature sensors, chamber and jacket pressure gauges mounted in new fascia panel. The unit is now ready for a final quality assurance inspection, and customer factory acceptance testing. Factory trained service personnel are available either to install the unit or assist your people.